Nashville, Tenn. – January 30, 2015 – Imaging USA, PPA’s photographic convention and tradeshow, opens this Sunday at Gaylord Opryland in Nashville. 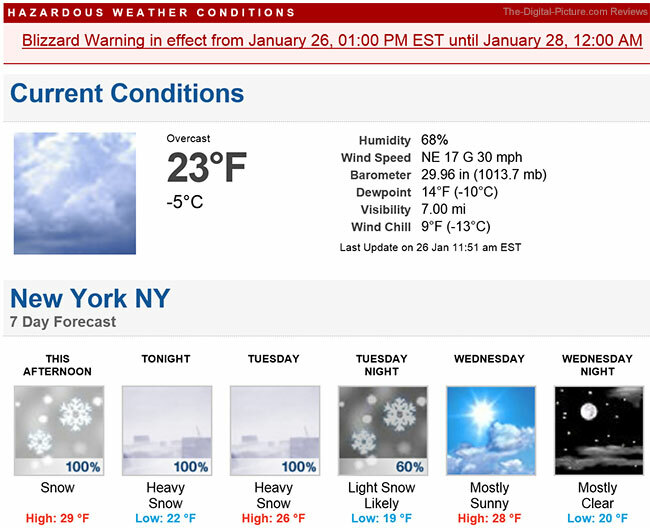 The show runs through Tuesday, February 2. This year, the show looks to be the event’s biggest yet in its history. Well over 9,000 photographers have already registered for the show, with 4,000 to 5,000 more on-site registrations expected at the event. The demand has surpassed the Opryland hotel to capacity, with registrants now directed to overflow accommodations. All-access registration passes as well as expo-only tickets are still available at ImagingUSA.org/Register. Imaging USA is the longest-running international photographic convention, tradeshow and image exhibition in the world. The event dates back to 1869, when PPA began organizing its annual convention and tradeshow, ran by professional photographers for professional photographers. More than 10,000 photography enthusiasts will descend upon the Music City for three days of photography education and inspiration as well as some exclusive photography-related shopping. Highlights of this year’s event include the three-day Imaging Expo tradeshow, featuring more than 600 booths, giving photographers the opportunity to demo and purchase the latest products at deeply discounted and tradeshow-only prices. The event also includes more than one hundred speeches, presentations and hands-on demonstrations by some of the most respected names in the industry. Photographers will also find mentoring opportunities, portfolio reviews and 10,000+ photographers to network with and create career-spanning relationships—a real bonus for photographers, who typically work for themselves. There is also three days of more intimate, pre-convention classes for an extra learning opportunity. New to Imaging USA this year will be a new mobile app and game, extended viewing hours for the International Photographic Competition (IPC) exhibit, a special, exhibit of super-sized images from record-breaking, acclaimed landscape photographer, Peter Lik, the PPA Charities 5K run, fundraiser and shoe drive, and an opening night Super Bowl viewing party, sure to be the biggest around. It’s not too late to register. Photographers have the option to sign up for an Imaging USA all-access pass, or join PPA as a Professional Active member. PPA offers a free full-registration to Imaging USA as a perk for new members. Professional Active PPA memberships are available for $27.92 a month. There is also an expo-only option available to those who just want to check out the tradeshow. Complimentary expo passes are available online by using the promo code TSC2015. Visit ImagingUSA.org for complete program and registration information. Google has just announced that Google Earth Pro, formerly $399.00 per license, is now free. Google Earth allows users to "View satellite imagery, maps, terrain, 3D buildings, galaxies far in space, and the deepest depths of the ocean." The Pro version takes these capabilities up a big notch. Learn more about Google Earth Pro, including comparison charts with the standard version, here. Launch Google Earth Pro, enter the license information provided and click "Log In". 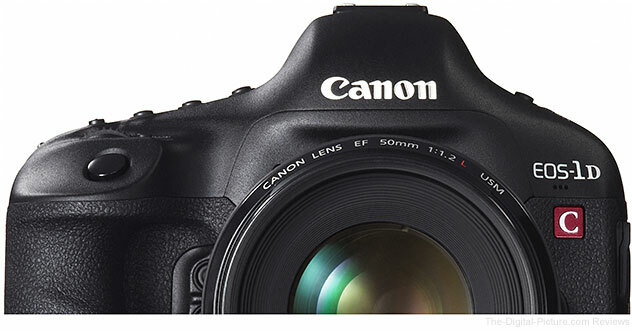 Image quality results from the EOS 7D Mark II have been added to the Canon EF 35mm f/2 IS USM Lens review. This is a very nice, compact lens with image quality that holds up well even with a high density image sensor behind it. 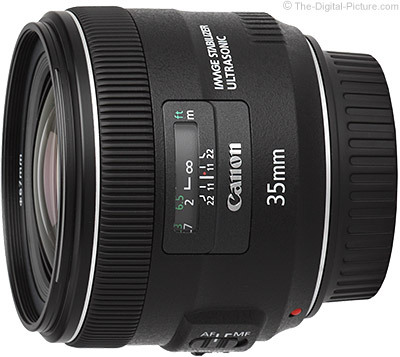 B&H has the Canon EF 35mm f/2 IS USM Lens in stock with a $50 mail in rebate that expires tomorrow (31st). 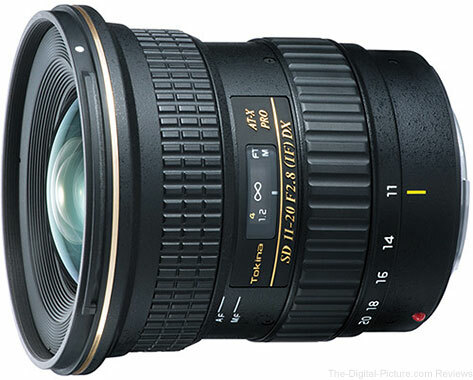 B&H has the Tokina AT-X 11-20mm f/2.8 PRO DX Lens available for preorder. United Kingdom, Republic of Ireland, 29 January 2015 – Canon today goes live with exciting new updates to its cloud-based image management service, irista, making it more user-friendly than ever before. 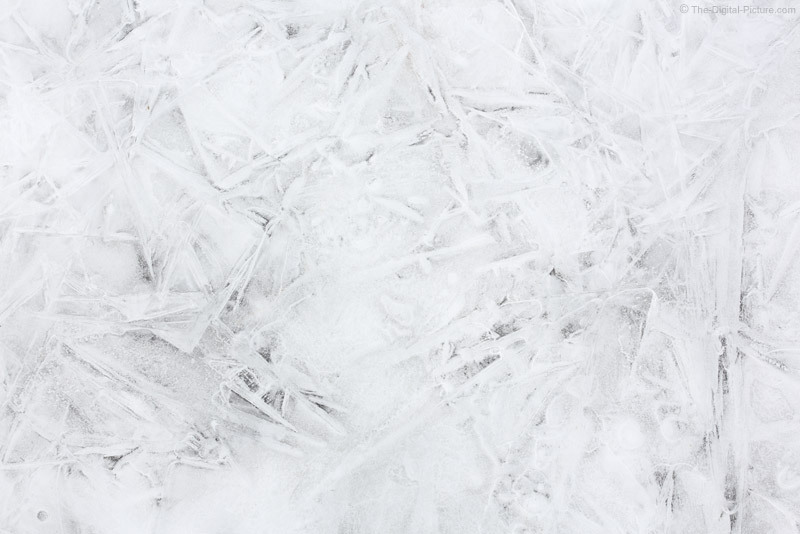 The features going live are part of the next development phase of the platform and include an optimised user experience for tablets, as well as the ability to order high quality photo books directly from irista. Alongside the feature updates, Canon also today unveils new pricing for the irista subscription tiers, giving photography enthusiasts increased storage. Adobe Lightroom integration: Edit images directly in Lightroom, which stores and synchronises the edited versions on your irista account, maintaining a single place to store all your photos. Lightroom users will also find their photos with XMP data in irista, ensuring images can easily be filtered. Multi-device ready: Compatible with the most popular iOS and Android tablets, the user experience has now been enhanced to make all of irista’s functionality easily accessible on tablet devices. Photo books at the touch of a button: Create and order stunning HD photo books directly from irista. Simply filter your favourite images and create a book within irista, all via your web browser. You’ll receive a beautiful, premium quality photo book, allowing you to enjoy your photos time and time again. The irista updates are accompanied by a pricing refresh for the subscription tiers, which increases the storage options at all levels. The updated free tier now offers 15GB of cloud storage space - with full irista functionality. Advanced enthusiasts or professional users with larger image libraries can now get 200GB and 500GB tiers available for a monthly or annual cost. Additional storage can also be purchased at £35.00/€39.00 per year for 100GB, £65.00/€69.00 per year for 500GB and £99.00/€109.00 per year for 1TB. Rogue Photographic Design Updates the XL Pro Lighting Kit with New Attachments and Design Improvements, Including: New Strip Grid, Lighter Weight Materials, Quicker Attachment, and New Travel Bag. 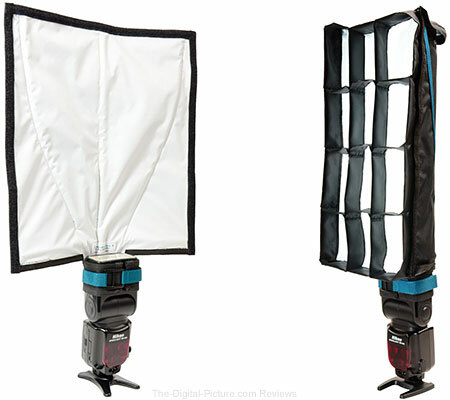 The New FlashBender 2 XL Pro Lighting System Includes the Versatile XL Pro Reflector with Two Quick Change Attachments to Create the Soft Box or Strip Grid. Watsonville, California – January 29, 2015 – ExpoImaging, Inc., creators of Rogue FlashBender light modifiers for event and location photographers, today announced availability of the Rogue FlashBender 2 XL Pro Lighting System. The FlashBender 2 incorporates new custom reflective fabric. 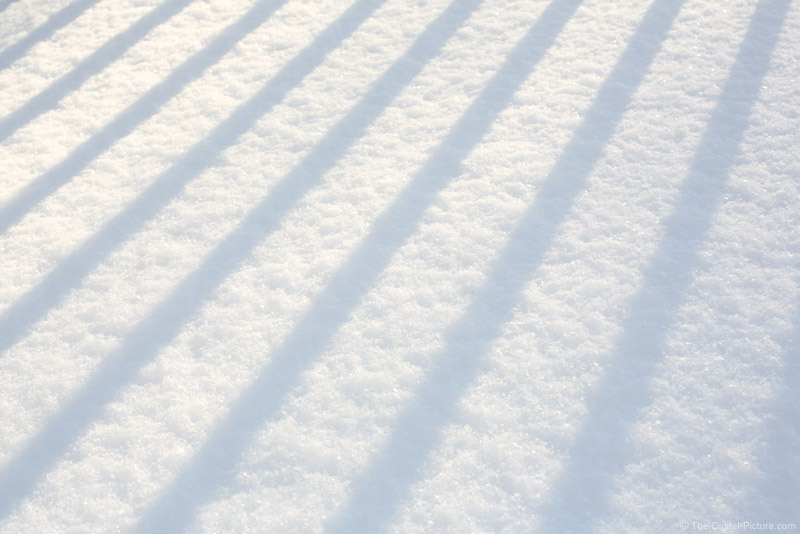 The new fabric allows the reflector to be more easily shaped to control light. The new FlashBender 2 integrated attachment strap is adjustable to fit all popular brands of accessory flashes with a flash head circumference measuring from 8” to 9 3/4”. “To keep it portable, the FlashBender 2 XL Pro Lighting System is sized to fit a 15” laptop compartment, or lay flat to allow more room for lenses and other essential equipment in the gear bag. We also include a handy Travel Bag,” said Sowder. The Rogue FlashBender 2 XL Pro Lighting System retails for $99.95, and is available through ExpoImaging’s distribution partners worldwide. Now, in order to better service our Canadian Customers, orders over $99 ship free to Canada! Simply select "B&H customs clearance", and select "Canada Free Shipping" as your Shipping Method. The $99 order total is calculated after all rebates and bundle discounts have been applied. Gift Cards, freight charges, duties, and taxes do not count towards the qualifying order total. Firmware Version 2.0.7 is for cameras with Firmware Version 2.0.3 or earlier. If your camera's firmware is already Version 2.0.7, it is not necessary to update the firmware. Once the EOS-1D X camera is updated to Version 2.0.7, it cannot be restored to a previous firmware version (Versions 1.0.2 through 2.0.3). Once the EOS-1D X camera is updated to firmware Version 2.0.7 from previous firmware version (Versions 1.0.2 through 1.2.4 and 2.0.3), it is recommended that the latest application software *1 be used. Certain previous versions of this application software do not support functions which are added by the new firmware. 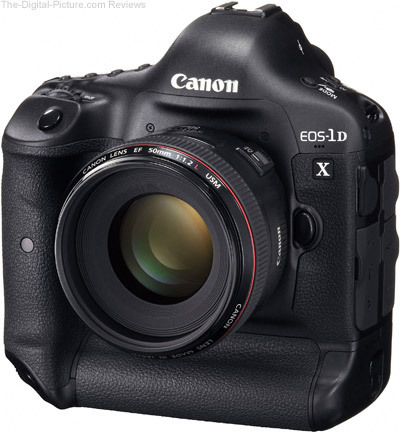 Download Firmware Version 2.0.7 for the EOS 1DX. Download the latest application software from our Website. Firmware Version 1.3.3 is for cameras with Firmware Version 1.2.3 or earlier. If your camera's firmware is already Version 1.3.3, it is not necessary to update the firmware. When updating the firmware of your camera, please first review the instructions thoroughly before downloading. 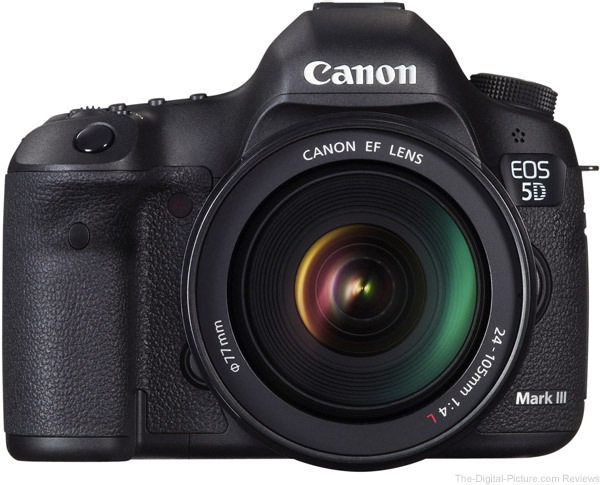 Once the EOS 5D Mark III camera is updated to Version 1.3.3, it cannot be restored to a previous firmware version (Versions 1.0.7 through 1.2.3). LensRacks is designed for owners of Nikon or Canon lenses who want to be organized with their camera gear. With LensRacks’ modularity and expandability, the LensRacks caters to amateurs, professionals, and everyone else in between. Check out the LensRacks Kickstarter Campaign for more information or to back the project. Photoshelter Offers Free Guide: "The 2015 Photo Business Plan Workbook"
In The 2015 Photo Business Plan Workbook, get a step-by-step guide to help you implement a rock solid business plan, target the photo clients you want, and land more gigs. Download the guide today! Permalink: Photoshelter Offers Free Guide: "The 2015 Photo Business Plan Workbook"
Support for the D5500, COOLPIX S3700, S2900, L32 and L31 has been added. When images to which Distortion Control has been applied are opened, edges were fringed with color. When a RAW image captured with a camera that does not support the Picture Control system (D2XS, D2X, D2HS, D2H, D1X, D1H, D1, D200, D100, D90, D80, D70S, D70, D60, D40X, D40) was displayed, the icon indicating that the image had been edited was displayed, even if the image had not actually been edited.